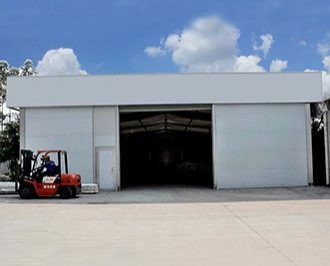 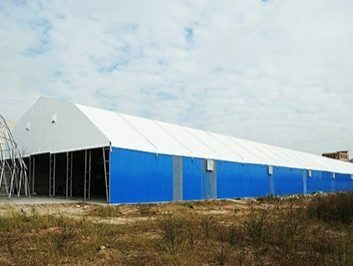 If you want to use your outdoor temporary storage with flexible, efficient and economical way, then our large outdoor storage tents will be the ideal solution. 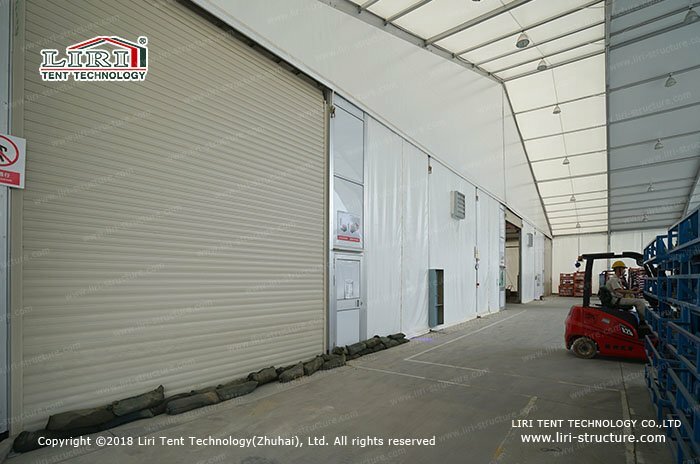 large outdoor storage tent has clear span width from 10m to 60m and the height can be 4m,6m and even 10m. 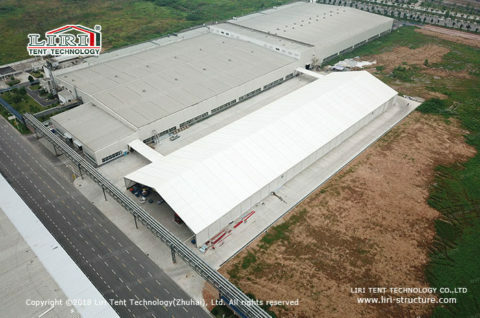 Width and height can be custom-made as you require to make sure trucks and other vehicles can access smoothly. 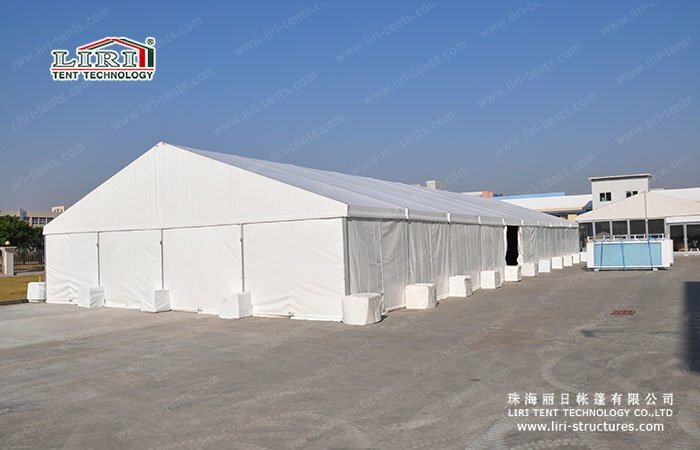 Large outdoor storage tent is not restricted by sites. 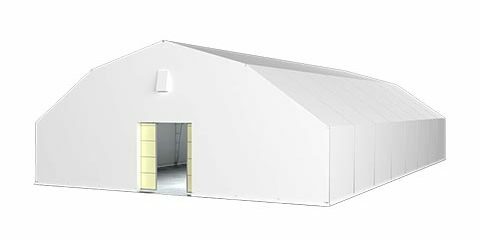 It can be set up on concrete and earth flat ground and normally only take several days for installation. 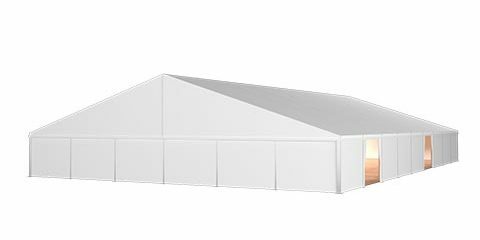 After you finish using, you can completely disassemble it and store until next time to use. 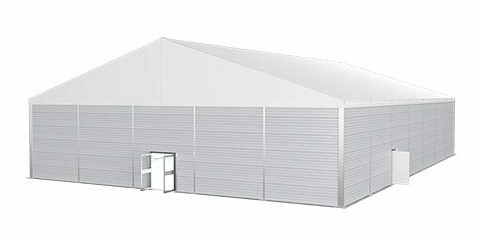 It is the perfect solution for outdoor temporary storage space in different seasons. 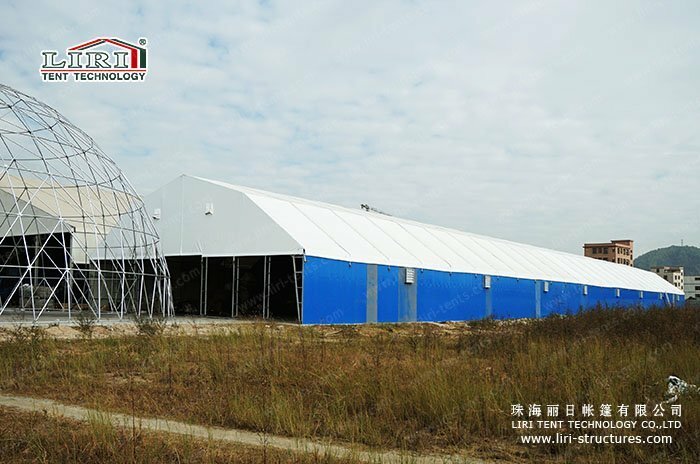 Large outdoor storage tent uses reinforced and durable aluminium alloy frame 6061/T6 Industrial aluminium materials with advantages of good looking, high strength, light etc. 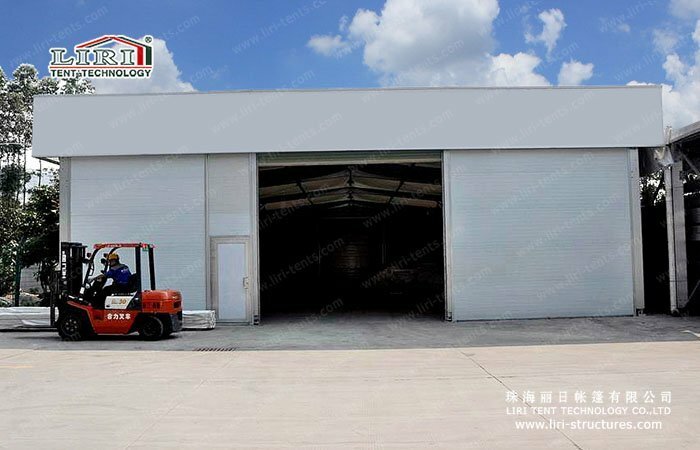 It is suitable for temporary use and permanent use in outdoor. The cover we use PVC double layer fibre cloth. It is waterproof, anti-UV, flame retardant, mould proof and ageing resistance. 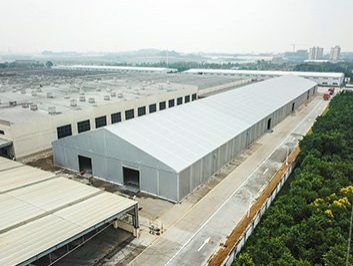 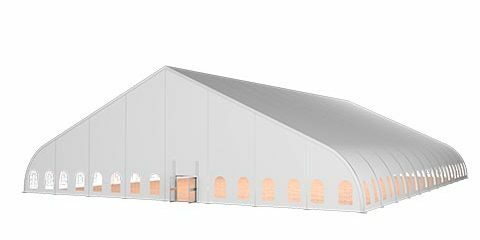 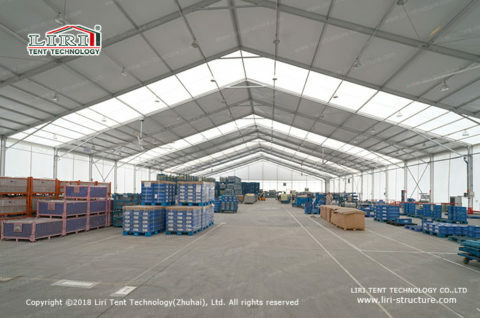 For walls of the tent, clients have different choices like glass walls with good daylighting effect, ABS hard walls and sandwich hard walls which normally for warehouse due to thermal insulation and fire resistance. 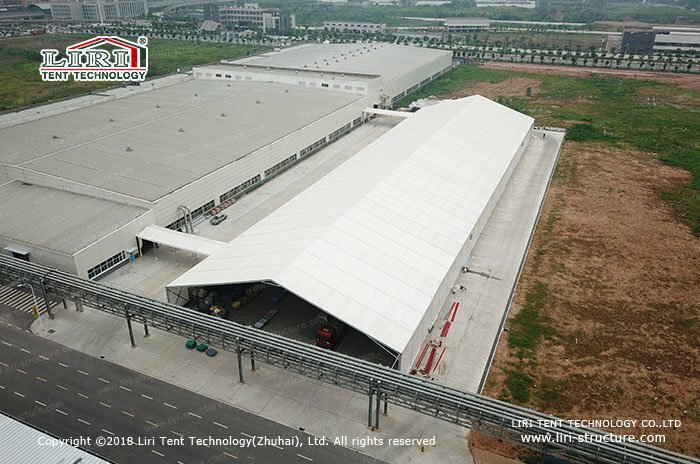 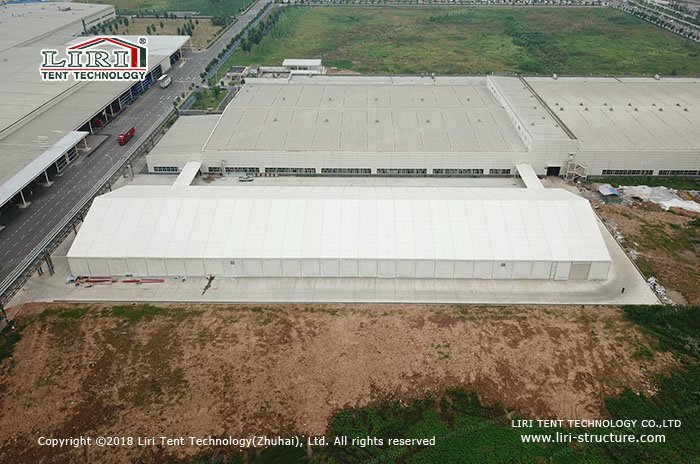 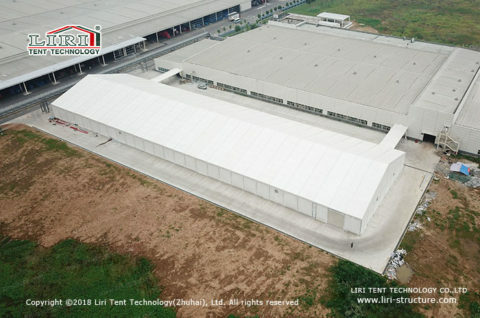 In addition, LIRI large outdoor storage tent has many optional accessories like lighting, windows, exhaust fan, air conditioner, drainage system and bumping post. We can manufacture and supply multifunctional outdoor temporary storage buildings. 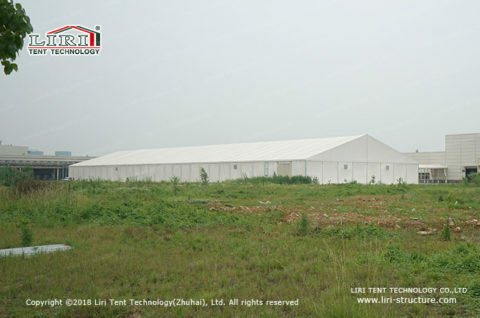 In last 20 years, we had offered hundreds of outdoor storage tents over the world. 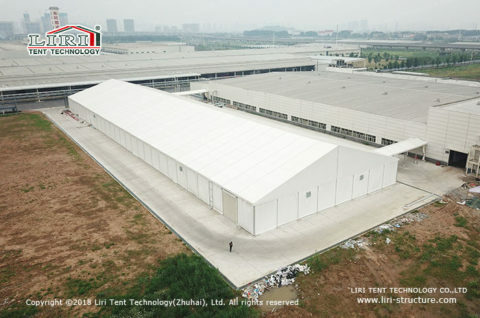 Please free to let us know if you want to know more about outdoor storage tent.